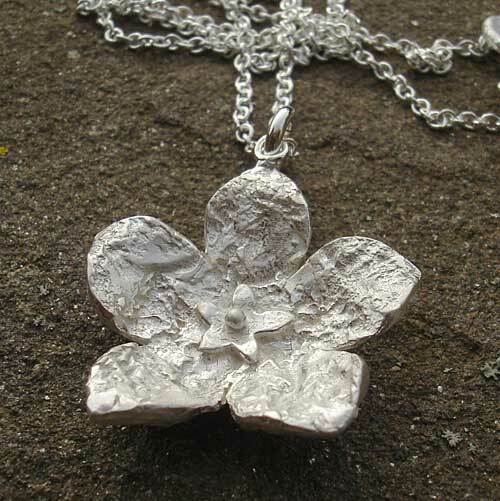 Women's Silver Designer Flower Necklace : LOVE2HAVE in the UK! 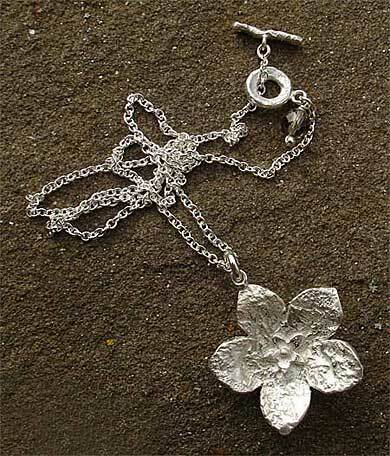 A lovely women's silver designer necklace from the melt flower collection, this particular one being a Pimpernel with a central flower. The flower measures approximately 29mm wide. The texturing boasts a rocky fossilised appearance. It features a delicious chunky rock-like texture created by manipulating the silver in a molten state. It comes on a 16-inch silver chain with a small bead and T-bar fastening that features the same rocky texture. Other chain lengths are available on request. 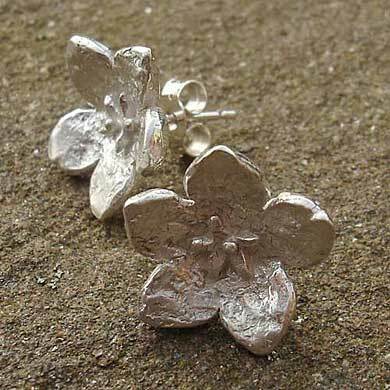 This design is available as silver earrings too which we also sell on our website, so they make very unusual jewellery sets for women. They make great spring/summer sets for a fashion conscious lady. The picture shows the T-Bar Fastening. Matching silver earrings also pictured.